A proud moment for me, I finished all of the projects on my proposed Q2 for the 2016 Finish-a-Long!!! I love how this little quilt turned out for my youngest daughter. 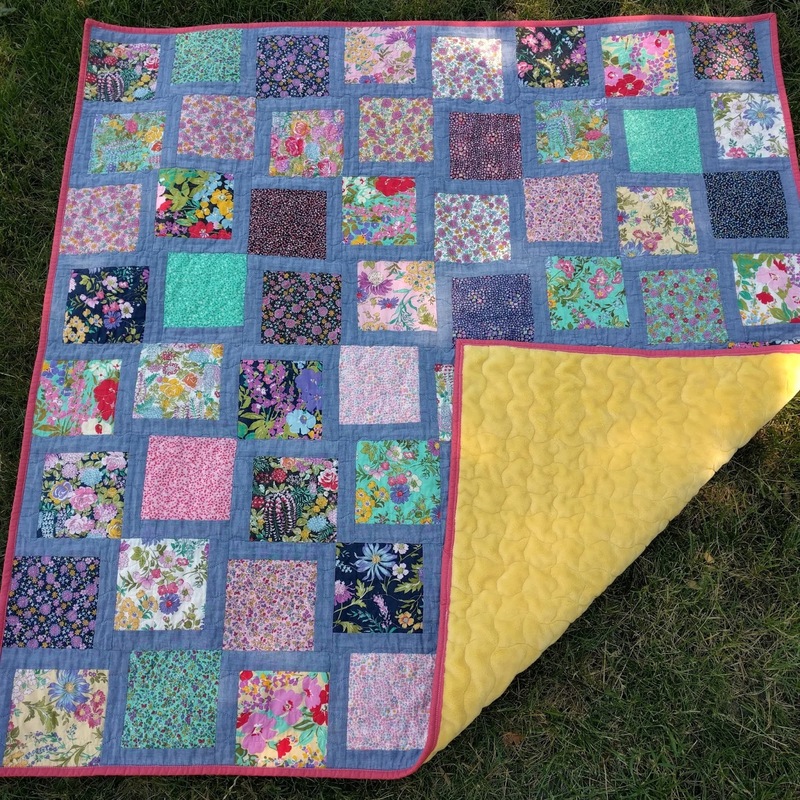 I used a couple of charm parks of the Regent Street Lawns from Moda and some chambray fabric for the background and this is such a snuggly quilt. At 44 inches square this is the perfect size for my 15 month old daughter to use on her bed. Plus it will be a great quilt to snuggle with when she graduates to a twin size bed instead of the little toddler bed. For the quilting I did a serpentine stitch on my machine, evenly spacing them out. Then added in a highlight cross hatch section. And I love how it turned out. Some of my favorite quilting motifs can be done with a walking foot and I love that. Not that I don't enjoy free motion quilting, but there is something about a simple or fairly simple quilting design. I backed her quilt with a bright and cheerful yellow cuddle fabric, which showcases the quilting just beautifully. As this is my second quilt I've done with cuddle fabric, I learned from my previous experience and spray basted this quilt and did a few pins just for good measure. And boy what a difference that made! I had not puckering or pulling, this was actually a dream to quilt. To the point where I know I will be doing more cuddle backed quilts in my future. Fabric: Regent Street Lawns by Moda, denim chambray, Cuddle fabric in yellow, and RJR premium solids. 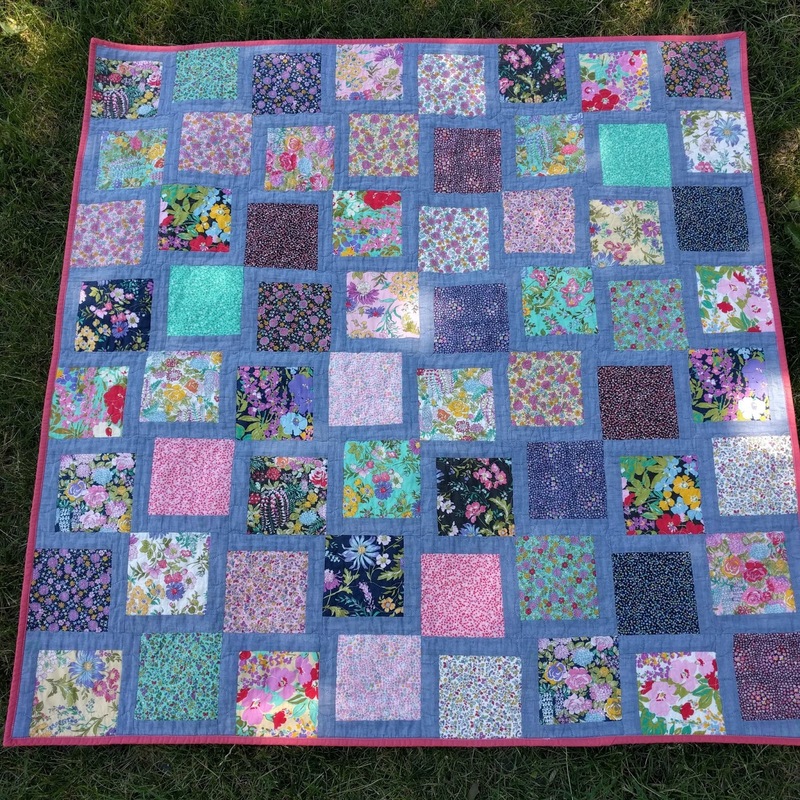 Ooh I haven't tried cuddle fabric - glad you have mastered it in this beautiful quilt! I am sure it will be enjoyed. Thank you for joining us in 2016 FAL from your hosts! 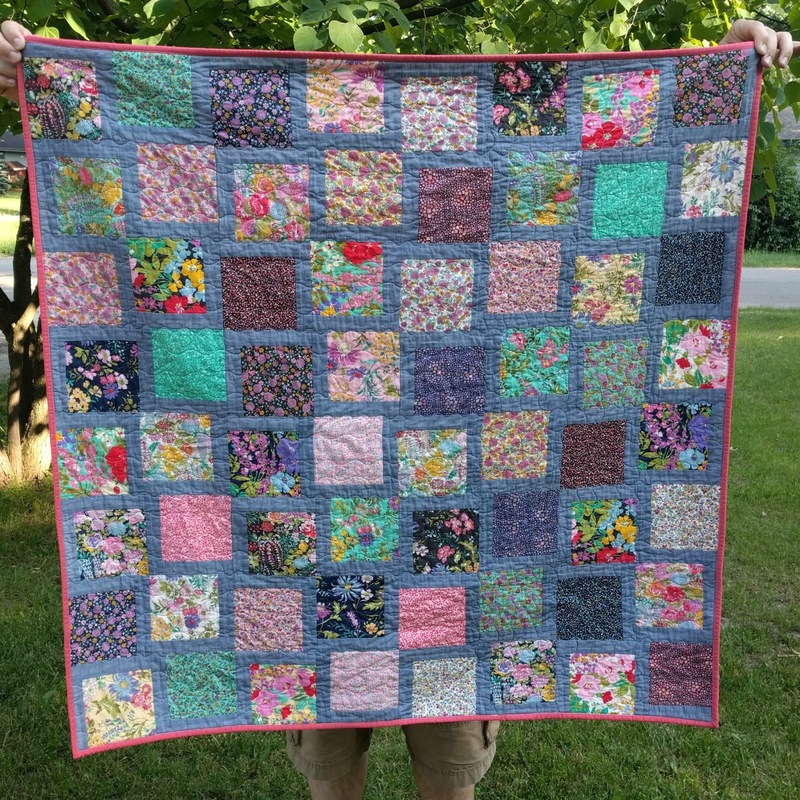 I love how your serpentine stitch quilting came out! At first glance, I thought it was an E2E longarm quilting pattern. 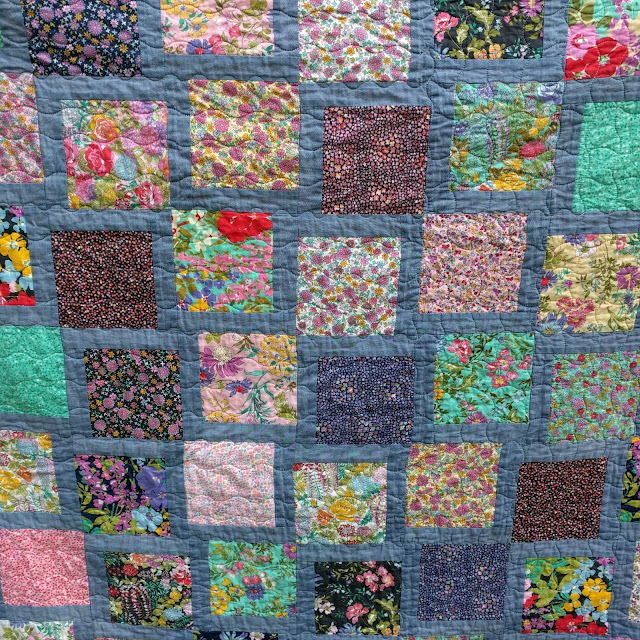 It looks great with all the different prints in this quilt. Congrats on a lovely finished quilt! Oh that's so pretty! And yay for finishing your quarter challenges! This is a fabulous little quilt! Thank you for sharing your cuddle fabric trick...I hate using it because it stretches and moves. I may give it another go using spray baste. That happy yellow is well worth the extra work, though. It's a beautiful quilt! After my last quilt with cuddle that puckered in a few places, I decided to try spray basting with a few pins and that made all the difference! I highly recommend spray basting when quilting with cuddle.